Leader2Leader (L2L) is a unique experience is designed to connect like-minded and likehearted leaders who share similar positions in similar sized organizations. This covenant peer advisory group is designed for C-level nonprofit executives who meet monthly for the purposes of mutual support, problem solving, and accountability in order to become world-class leaders of life-changing organizations. These groups of 6 to 16 leaders meet each month and work on the principle that more brains are better than one; that the isolation and loneliness every executive leader feels can be overcome to produce exceptional results. A professionally trained facilitator leads each group and ensures they remain focused on a disciplined process of group discussion and advice concerning a challenge, decision, or opportunity each member is facing in his/her leadership or business. Guest speakers and case studies also add another dimension to the overall learning experience. Launched Groups: L2L groups have launched in select cities across the country. Pre-Launch Groups: These L2L groups are in formation in select cities across the country. If you'd like to learn more about joining one of these groups, contact Scott Brown at CLA, scott.brown@christianleadershipalliance.org. And new groups are being added each year! To maintain strict confidentiality of all conversations and information shared in L2L meetings. To give attendance at all meetings a priority. To host at least one meeting a year at the member’s own place of business or at a location convenient to all group members. To fully participate in all conversations, offering questions, insight and feedback in good faith. To assist in building the group by referring at least 2 new prospects to the group each year. To abide by any additional covenants developed mutually by the group. To give the group at least 3 months' notice before cancelling group membership. This is a premiere executive development experience created to meet the needs of those in senior leadership roles who are committed to investing in personal growth and development. Membership fees can be paid annually, or monthly by automatic credit card debit. Those who pay annually will receive a $100 scholarship that can be applied to one of the following CLA leadership training experiences: The Outcomes Conference, Outcomes365, Outcomes Academy - Online, or Registration for the CCNL Program. Applications will be sent to the L2L group facilitator in your area who will set up a selection interview with you. Final selection to a specific L2L group is based on insuring that members represent similar roles, are of similar sized organizations, are non-competing, and each member will be a full contributor to the group. L2L facilitators are responsible for all final selection of members to the L2L groups they oversee. Since L2L groups meet regionally, there may not be an L2L group currently meeting in your area. However, new groups are being formed all the time, so please fill out an application so that we know of your interest. 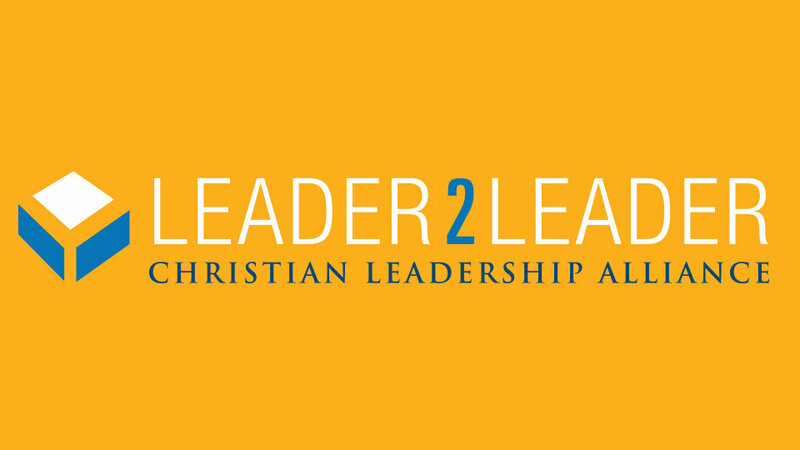 L2L Group Facilitators are an essential component of the Christian Leadership Alliance L2L peer group experience. They think about what the group needs, determine the agendas, prepare supporting resources for meetings, and communicate critical information to all the members. Facilitators monitor the engagement of every member and maintain the quality of the experience. What Does an L2L Group Facilitator Do? An L2L group facilitator is a membership architect, culture creator, discussion facilitator, experienced advisor, covenant protector, and a leader of leaders. Membership Architect: L2L facilitators enlist the original membership of the group by approaching and vetting prospective members in order to assemble a balanced, highly functional, and non-competing group of C-level leaders. As the group experiences vacancies over the years, the facilitator works with the group to identify and vet new prospective members so that the group remains healthy and energetic. Culture Creator: L2L facilitators create an intentional culture and environment at each meeting by preparing the agenda, supplemental resources, member communication, and creative activities to enhance group performance. Discussion Facilitator: L2L facilitators do not dominate discussions—they orchestrate deep member participation by teaching members how to ask probing questions and offer relevant insight. They are able to “command” the flow of conversation without being overbearing, and offer alternative approaches to thinking and issue processing. Experienced Advisor: There is a fine balance between facilitation and participation, and L2L group facilitators know how to encourage participation among all of the members while sharing from their own wealth of experience when appropriate. Covenant Protector: L2L groups are covenant and accountability communities. L2L facilitators help the groups determine a set of operating agreements or covenants, and then develop ownership of those agreements within the group as members hold themselves accountable to one another. A Leader of Leaders: L2L group facilitators are comfortable leading others to become world-class leaders of life-changing organizations. Builds the initial group membership through networking and marketing activities to identify prospective group members and vet candidates. A group cannot be started until there are at least six members. A new group must be launched within four months of approval as an L2L facilitator. In conjunction with the group, identifies and vets replacement group members so that the group continues to maintain between six and fourteen members (an ideal group size is twelve members). Facilitator compensation is based on group size. Monthly compensation ranges from $600 - $1,800 for groups between 6 – 16 members. Christian Leadership Alliance is registered with the National Association of State Boards of Accountancy (NASBA) as a sponsor of continuing professional education on the National Registry of CPE Sponsors. State boards of accountancy have final authority on the acceptance of individual courses for CPE credit. Complaints regarding registered sponsors may be submitted to the National Registry of CPE Sponsors through its website: www.learningmarket.org. For information on administrative policies (including complaints and refunds), contact Suzy West at CLA, telephone (949) 487-0900, ext. 112. All sessions will be group-live and require no advanced preparation. Fields of Study for L2L Sessions: Specialized Knowledge & Application/Personal Development, Intermediate/Advanced, Prerequisite: Participants must be C-level business or nonprofit executives, Group Live. Each session is worth 5 points; maximum total of 60 per year.